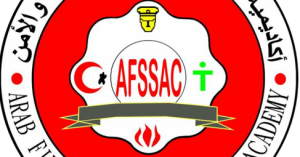 Arab Fire, Safety & Security Academy offers one of Fire safety training courses represented in Fire Safety Team member program according to accredited civil defense rules . That is one of developmental Fire safety training courses in safety science . Whow should take this Fire safety training courses ? Safety specialists and firefighters in facilities that have different activities . All personnel in different professional positions in different worksites in industrial, commercial , services and administrative facilities . Developing the skills of fire safety team member depending on developed scientific techniques in order to protect facilities from fire risks as well as keeping lives and properties . Identify duties and tasks of the safety man (Safety Team Member). Know the risks that threaten the safety of the buildings and their occupants. Protect buildings from fires and reduce the spread of fire inside the building and neighboring buildings. Apply safety requirements in the entrances and exits of the emergency doors. Identify risks in the kitchens, fireplaces, furnaces, stores, warehouses, rooms of mechanics, electricity, air conditioning, gas and water valves and securing methods. A general idea about hazardous materials and their waste. Identify necessary elements for the ignition. Identify the various types of fires and the characteristics of each type. Identify fire causes and how to avoid. Identify fire detection and alarm systems and how they work (automatic-manual). 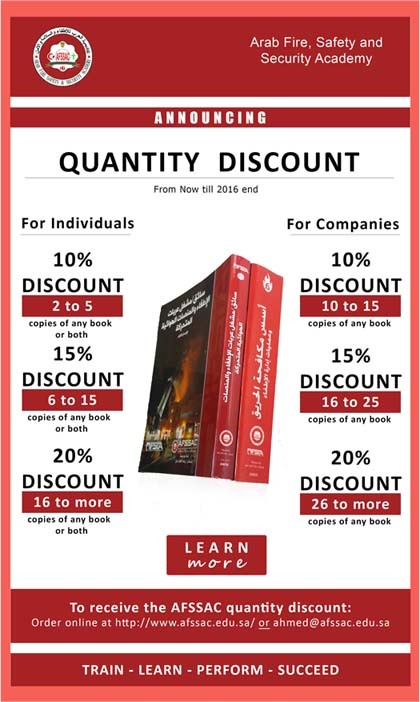 Identify general basic principles of firefighting. Identify fire extinguishing agents and the impact of each of them in firefighting operations. Choose the best fire extinguishing agents appropriate to the burning material. Identify the types of fire hoses. Know the different methods of rolling, stretching and carrying fire hoses. Recognize all kinds of equipment used with fire hoses and their uses. Identify the contents of fire hoses cabinets. Use fire hoses in Firefighting. Identify manual fire extinguishers and distinguish between the different types and sizes. Use manual fire extinguishers in Firefighting. Know the procedures to be taken in case of fire accident. Identify rescue equipment that must be available in the facility. Know the procedures to be observed during emergencies and your role in the emergency plan. Increase ability to provide first aid. Duties and tasks of the safety man (Safety Team Member) . Second: the duties of the safety man when receiving warning of an incident. Systems of protecting buildings from fire. The risks threaten buildings and their causes. The general conditions for the exits. Risks (kitchens, fireplaces, furnaces, stores, warehouses rooms of mechanics, electricity, air conditioning, gas and water valves, flammable liquids and chemicals). Alarm systems (automatic – manual). General precautions when using fire extinguishers. Tools and equipment of automatic fire extinguishing systems. Check the validity of the tools and equipment of firefighting and rescue in the site and check regular maintenance. Your role in the emergency plan. General Requirements: physically fit and healthy . * Duration of the program: Two weeks (12 days) – 60training sessions (40% theoretical 60% practical). Duration : 12 days .